Repair or Replace My Heating System? We can all admit it: winter here doesn’t exactly require a heavy coat and a pair of mittens. However, the temperature can dip well into the 60s, and for many of us, that is just too cold. During the winter, we turn to our heaters to keep us warm and comfortable. But, what happens if you find yourself dealing with a handful of heater issues? 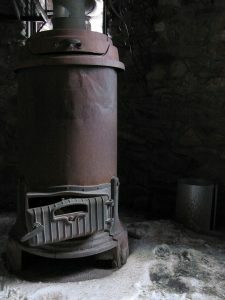 For many homeowners, the decision to replace or repair their older heating system can be quite a difficult one to make. So, what do you do? Sometimes, it’s hard to tell if replacing your entire heating system is a worthwhile investment. This is why it important to consult with your local HVAC technician before you make any final decisions. A professional will be able to assess the condition of your heater to determine what next steps need to be taken. In the meantime, however, we have provided you with a quick guide outlining some of the signs that suggest it is time for a replacement. Keep reading below to learn more. Although built to last, your heater is not going to last forever. That being said, the average lifespan of a heater is anywhere between 10-15 years. If your heater is has aged well beyond the average lifespan, it’s time to think about a replacement. As your heater ages, the likelihood of a system breakdown increases, so it is better to be proactive. Occasionally, your heater is going to require repair services, and that is totally normal. However, if you find yourself calling for repair services more than once a year, it might be a sign that your system is failing. Over time, everyday wear and tear begins to have a profound effect on your system’s performance and efficiency. When this happens, you begin spending a lot of money on costly repair bills. It might be better to invest in a new system that will require less service and last longer. The primary function of your heater is to provide heat. If your heater can no longer keep up with your household’s demands, then it is no longer serving its function. Sometimes, this issue requires a simple repair, however, if it is an ongoing battle, then consider a replacement. Your old, outdated system is simply not going to be as efficient as a newer model. Older heaters must work harder to circulate warm air throughout the home, thus decreasing efficiency. When your system is inefficient, you begin paying a lot more for energy. We advise keeping a close eye on your monthly heating bill. If you’ve noticed that you are paying more and more each month, it might be time for a new heater. Only a professional HVAC technician can determine whether or not you should replace your heater. Our technicians here at D’Spain Sales & Service, Inc. are well trained and experienced to handle a wide range of HVAC services in Kerrville, so you can be sure that they will only offer expert advice. To schedule your heater services, contact D’Spain Sales & Service, Inc.
Do I Need a Water Filtration System?